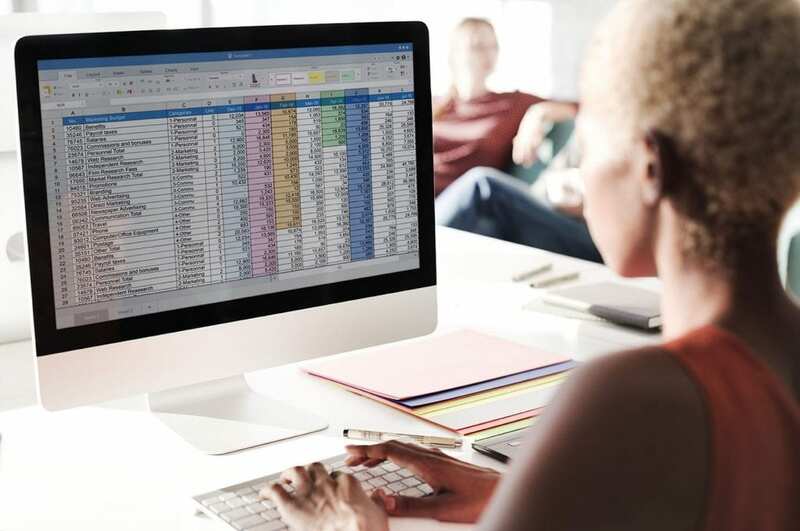 Microsoft Excel is often the go-to tool for numerous business applications, but the use of spreadsheets can spiral out of control when they are shared or used as part of collaborative processes. Nearly everyone has experienced version confusion at one point or another, and businesses often consider completely replacing spreadsheets when they get too complicated, unwieldy, or simply have too much critical intellectual property to risk sharing. However, many spreadsheets are the result of years of continual refinement and validation and represent a surprising amount of investment. They often provide critical and unique value to an organization. Replacing them can be expensive, technically difficult, and ultimately unpopular. Thankfully, EASA provides an easy solution that enables you to embrace rather than replace your spreadsheets and to do so for a fraction of the cost of replacing them. When spreadsheets are shared and exchanged, a host of familiar problems can arise. Formulas can be overwritten. Out of date versions of a spreadsheet may inadvertently remain in circulation. Sensitive intellectual property may be at risk of exposure. Spreadsheets don’t always work due to mismatches of settings or computer software. Using EASA as a surrogate application to process your spreadsheets enables users to access and make full use of the spreadsheet’s functionality, including any enabled VBA or macros, while completely eliminating the need to email, download, copy or edit spreadsheets. This means that your spreadsheets remain completely secure and unalterable, and only the latest, most up to date version is being used. One of the most common applications of EASA is for the creation of web portals, which provide an online resource where information and calculations can be easily but securely accessed and shared. If you have an Excel spreadsheet with the functional capability you need, EASA software enables you to create a secure and polished web portal without the need for any programming, and with no danger of exposing the spreadsheet to your portal visitors. Your web portal can then be used by both internal and external staff such as partners, resellers, suppliers and customers. Often, it is very important that these portals have an elegant and sophisticated appearance. EASA enables you to create a completely custom user interface, with no programming required, which can completely mask the fact that a spreadsheet is actually running in the background, if your use-case requires this. Some typical web portals created with EASA include configuration and pricing calculators, financial and tax calculators, engineering or scientific calculators, or online demonstration or training applications. Embrace your Excel spreadsheet-based system rather than replace it with an expensive-to-implement commercial CPQ solution. Complex and highly proprietary spreadsheets used in the insurance-reinsurance industries are transformed into secure, enterprise tools easily integrated with policy management platforms and CRM systems. Often hard to use by anyone other than the author, with proprietary logic and mathematics, EASA enables you to make these into practical and secure enterprise tools. Sales forecasts, inventory reports and other reports requiring the aggregation of multiple spreadsheets are often plagued with version confusion, error introduction and the requirement for tedious double-checking. EASA overcomes all these issues. How is EASA different from other Excel to web tools? Spreadsheets often contain proprietary information and business logic that must not fall into unauthorized hands and must not be altered. Because the EASA solution eliminates any user handling of your native Excel files—no emailing, copying, downloading or editing of your spreadsheets—it completely eliminates the possibility of exposing your critical IP, or allowing it to be modified in any way. EASA ensures every user is always using only the latest and most up to date version of the underlying spreadsheet. Only you, as the administrator, can update any time by simply uploading a new version of the spreadsheet into the EASA system. EASA technology is unique in that it does not rely on any conversion, translation or compiling of your spreadsheet. When spreadsheets are reconstituted by conversion or compiling, they must be revalidated to ensure they still perform as they did as native spreadsheets. Furthermore, it is not possible to reconstitute a spreadsheet that contains VBA or macros. But with EASA, your native spreadsheet continues to be used in its native form by the EASA system, which means that your VBA and macros still perform exactly as intended. When deploying software tools throughout an enterprise, mismatched local IT infrastructure can prevent them from running properly, whether via incompatible settings, add-ins or simply different release versions of Excel. EASA completely eliminates this type of failure, as Excel is run on dedicated, secure servers. Access for authorized users requires only a web browser and does not require any additional locally installed software. This means mobile devices can be used as well. EASA customers have seen increases in reliability go from less than 50% to near 100% by using EASA, compared to the typical approach of installing software on users’ local machines. Errors due to input mistakes can also be greatly reduced by embedding intelligence at the user interface level, thanks to our custom interface building capability. EASA lets multiple authorized users make use of the same spreadsheet without needing to check it in or out, with zero risk of overwriting or exposing another user’s work. EASA comes with its own relational database and saves only the key data each time a spreadsheet is used. The data generated when you execute your spreadsheet is automatically saved in the relational database for efficient and convenient reporting, analytics and data aggregation. This prevents spreadsheet proliferation, ensuring that everyone is working from the same mass document. With EASA, you can use your spreadsheets from any device equipped with a web browser and an internet link to your network or the cloud. Furthermore, your desktop, laptop, notepad or mobile phone does not need to have Microsoft Excel installed on it. If needed, EASA enables you to integrate and automate your native spreadsheets with virtually any other software. Typical integrations are with databases, CRM systems such as Salesforce, ERP systems such as SAP, and engineering simulation and modeling software. Workflow management enables you to segment processes, halting them until an interim required step is completed first, for example an approval or signature. While the standard column-row format for your input and output fields may be perfectly sufficient, there are cases where a more elegant or intuitive design of the user interface is desired. EASA provides you with the option to create a completely customized web interface without the need for any programming. These interfaces can be created without any coding so it is not necessary to enlist your IT experts or software developers to build them. EASA records what version of the underlying software was executed by your app, and provides a complete “audit trail” of usage: Who used which app, when, and with what result. Many software tools, such as Excel, require additional software or custom code to enable this capability, but with EASA, it is immediately and automatically implemented when the app is deployed. Create web apps that are compatible with CAE, databases (including ERP, PLM and CRM systems) scripts, in-house, legacy software and much more. One reason that Excel is such a popular tool for businesses is that it enables people who need a solution to create one for themselves, rather than relying on IT or outsourcing to external software developers. EASA extends this advantage with low-code technology that requires no programming experience, enabling anyone to easily implement the Excel to web transformation.